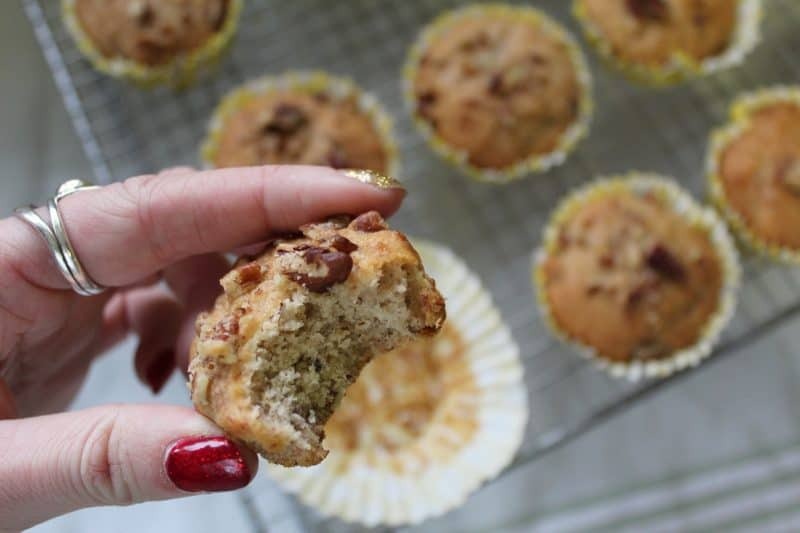 It’s the new year, and as many people are embarking on Veganuary, I thought I’d share my super easy recipe for gluten free vegan banana muffins recipe. They’re quick to make and are a great snack to prepare for your lunchbox – what more could you want? If you’re trying out a vegan diet, cake can seem a bit of a tricky task. Especially when the basis of most cake mixes includes butter and eggs. 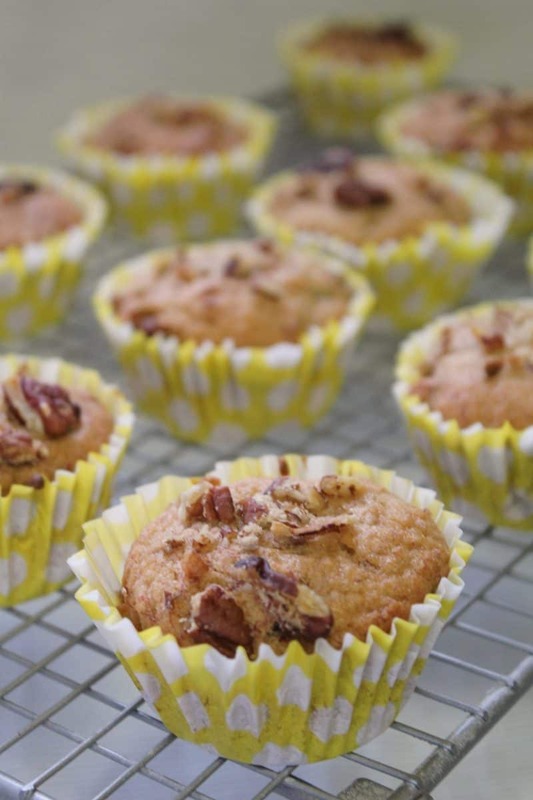 However, in this recipe the ripe bananas mean you don’t need egg, or even an egg replacer! Dairy free and vegan margarine is also readily-available in the supermarkets, which means there’s no excuse not to give these super easy gluten free vegan banana muffins a go! Of course, I use gluten free flour in them, which means they are perfect if you’re gluten, dairy or egg free too. 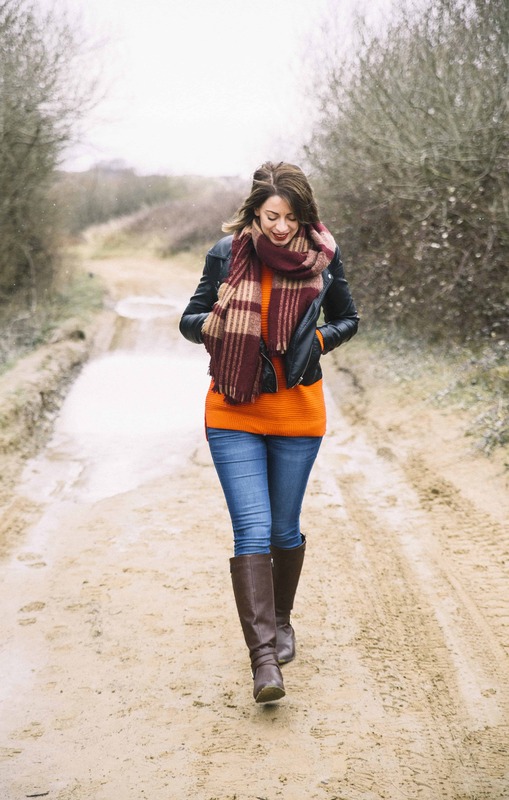 If you’re looking for some healthier alternatives for January as well, these are certainly going to be a better option than something like my gluten free millionaire’s shortbread (but you should definitely make that too!). They still contain sugar, though you’ll get a bit of extra nutrition from the bananas and nuts. Personally for me, it’s all about balance. 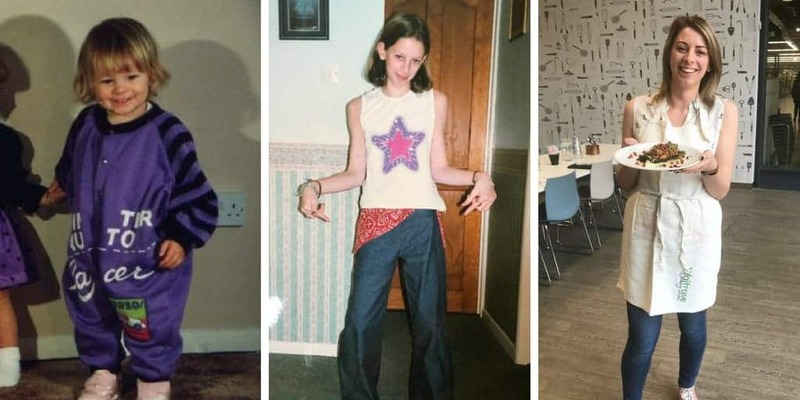 I won’t be going on any rubbish diets through January (or any other months for that matter) – I believe in eating good, nutritious food as well as gluttonous cakes, without an ounce of guilt. 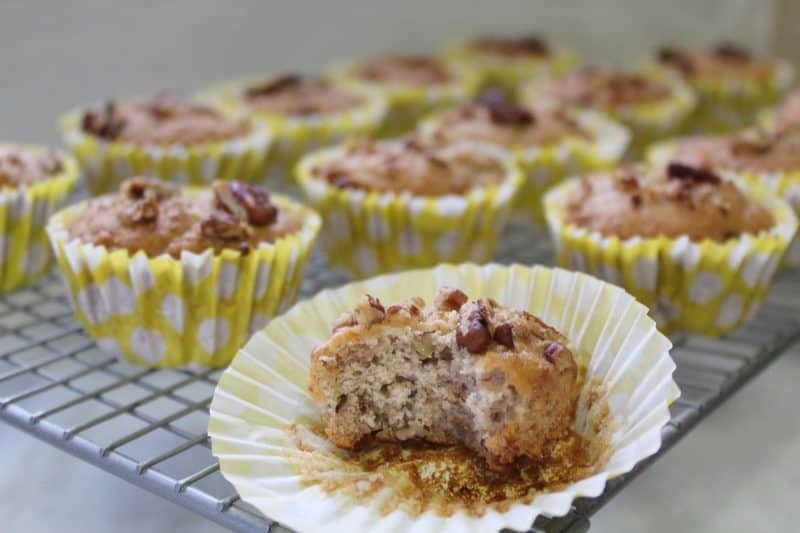 These gluten free vegan banana muffins are also a fantastic way to use up over-ripe bananas. In fact, they work better the riper your bananas. You know when they reach that black, shrivelled up stage? That’s perfect! And if you want to give this recipe a go but your bananas aren’t quite ripe enough, simply peel them and pop in the microwave for 30 seconds before mushing them! So here you have it, the perfect gluten free, egg free and dairy free muffins! I can’t believe how easy these were to make either – let me know if you whip up a batch! If you wanted to mix it up, try adding dairy free chocolate chips or dried fruit instead of the pecans. The base is super flexible, so you can make a whole variation of different flavours! 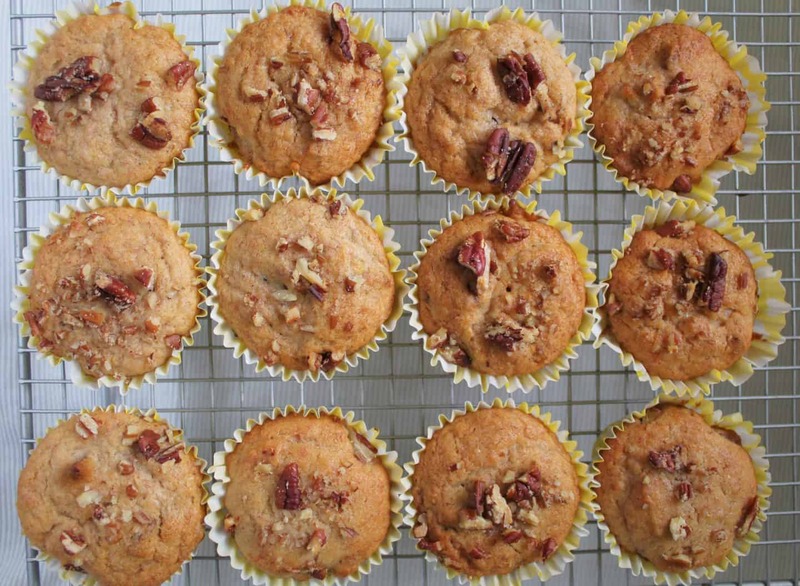 These gluten free vegan banana muffins are deliciously sweet with crunchy pecan nuts. Gluten free, dairy free and egg free! Preheat the oven to 180'C and fill a 12-hole muffin tin with muffin cases. Set aside. Peel the bananas and place in a bowl. Mash until the bananas are in a mushy pulp. Add to a large mixing bowl. Add the sugar, margarine, flour, cinnamon and salt to the mixing bowl with the banana and, using an electric whisk, beat until fully combined. Stir 75g of the chopped pecan nuts into the mixture. Then use a spoon to fill each muffin case to around 3/4 full. There should be enough mixture for approx 16 muffins, so you might need to bake in batches. Bake in the middle of the oven for around 25-30 minutes, until the muffins are golden and a skewer in the centre comes out clean. Cool on a wire rack before eating. Will keep for around 3 days in an airtight container. Need some more gluten free and vegan recipe inspiration? They look delish! Bananas are always a good option to replace eggs. But it has a banana taste (obviously). Would you have other options/tips for a vegan muffin without Banana?